The Smith County courthouse burned down in 1911, and as a result, all of the records the Chancery and Circuit Clerks have on file are dated from the following year, 1912. The former maintains divorce and land records, while the latter keeps track of marriage records. In addition to the Circuit Clerk, the Public Health Statistics division within the State Department of Health also maintains marriage records, as well as births and deaths. 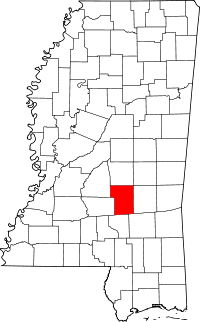 The Mississippi Department of Archives and History also has marriage records on file, as well as a huge amount of others, such as an index of divorces that occurred from 1817 to 1865, census records from 1820 to 1930, and much more. The department runs its own library where physical copies of all records are kept. The Smith County Genealogical Society also provides research resources on its website and operates out of the libraries in Raleigh, MS.